Our new shop opens in two weeks. As you can imagine, it's been a frenzied last few months, and for everything we've gotten accomplished, two more things to do pop up in its wake. It's like playing that arcade game where hippos pop out of holes and you have to punch them back in, and as you slowly get the hang of it, the hippos start coming faster and faster until you LOSE YOUR MIND. Some people manage to hang onto businesses all by themselves, but there are three of us. Wait, who am I kidding? There are far more than three of us. It really DOES take a village to raise...a pop shop. We've ordered bags, molds, labels, and started stamping pop sticks--so far, Joel is 996 ahead of me and David. (Yes, he counted. Back from 1000.) We applied for a line of credit, designed a look for our shop, and filled out our 2009 business tax return. Ol' Shaba is back on the road, shiny new plates, registration and all. Dave and Joel detailed her up and even got a spare tire. She and I will be gunning up north tomorrow to buy some frozen Hudson Valley berries with which to start the season before fresh fruit walzes back into town. On Tuesday, we make the first pops of 2010. Look out for something involving rhubarb and strawberries sourced from Beth's Farm Kitchen, and through Jim Hyland of Winter Sun Farms, we've also got our hands on some of last year's precious organic blackberries and raspberries from Stone Ledge Farm in Cairo, NY. Using frozen fruit is a bit of a departure for us--traditionally, our season doesn't start until fresh fruit comes into town--but this year's reality is that we start writing rent checks on April 15 and need to have something to show for it. It will be interesting to see whether there's a difference between pops made from frozen or fresh fruit, but given that, after all, our pops are themselves a frozen product, we've made peace with the idea. 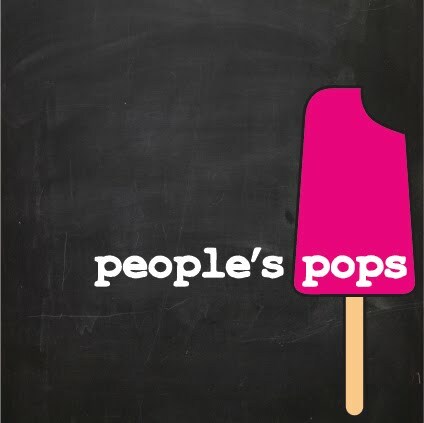 And this weekend: the triumphant release of People's Pops 3.0!! Come see us Saturday as the Brooklyn Flea in Ft. Greene returns outside, and on Sunday's Brooklyn Flea at One Hanson, a brand-new spot for us. We'll post this week's flavors once we've thunk 'em up.